Can you tell this scene from a horror movie from a video of Men’s Rights Activists? Let’s just call this Friday Frthrowback. I know I’ve posted both of these videos before, multiple times even, but have I ever posted them together? Possibly? Anyway, here they are again. One is a scene from a really creepy horror movie involving a bunch of men who are truly going their own way, mostly because no women want to get anywhere near them. 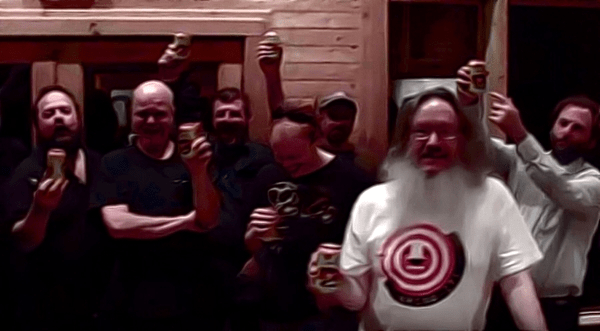 The other is a candid video of a Men’s Rights “retreat.” Can you figure out which is which? Try to avoid reading the titles of the videos which might sort of give the answer away. It’s a film as bad as CNN’s fake news. is it disrespectful of me to refer to Her Majesty Queen Elizabeth II as ‘the hardest working woman in show business’? I think she’d probably be flattered and agree with you. It was George III who first recognised and emphasised the public spectacle role of the monarchy; and later monarchs understood and built on that. Of course there is more to the job. The ‘bicycling royals’ thing works in some European countries; but the Queen is very much our full time Head of State with all that that entails. It’s a difficult path to tread politically in a constitutional monarchy, but she seems pretty good at it. Of course she has had lots of practice. “most of the people watching this know absolutely nothing about paganism” for its scare factor. The Wicker Man is, I think, a very joyous film. The scary part comes from the mystery as to what’s happened to the little girl. But in the end it turns out she’s perfectly safe. Ultimately the film has a happy ending for all concerned, even the Inspector. He’s a true believer and the pagans completely respect that. When they say his reward is “the greatest gift it is in our power to bestow; a martyr’s death” they genuinely believe that. And so does Howie. As far as he’s concerned he will end up sitting at the right hand of God with the elect. The islanders get their crops back and they thank the Inspector in the best way anyone possibly could. It is the perfect happy ending. Everybody wins. Laugher at Bigots – If you still enjoy videos that pwn creationists, Ed Brayton’s talk on the Dover trial (Kitzmiller v. Dover Area School District, 2005) is the best I’ve seen. I watch it once a year or so and it never gets old, even though it’s an hour long, fuzzy, and doesn’t have the best sound quality! Plus, Ed is definitely an SJW atheist. Alan – I saw a TV show here in the States about the Queen and what her life is like. It’s a grueling schedule, she never puts a foot out of place, and is always the picture of grace and aplomb. I have much respect for QE2. Unlike certain heads of state, the Queen of course doesn’t tweet. 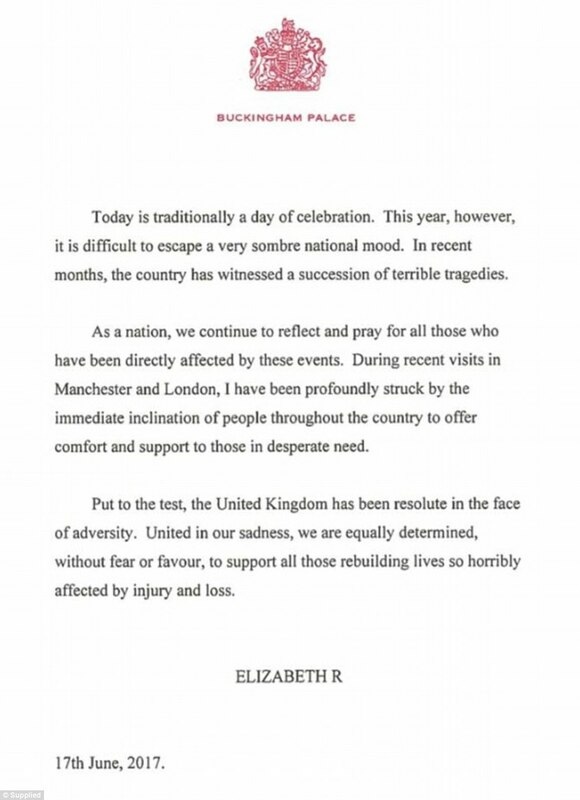 But she is pretty good, I think, at saying the right thing when it’s needed (Context: her visit to the Grenfell fire victims was the day before her birthday). Ed Brayton is awesome. I don’t think I’ve seen that video, so it’s something to look forward to watching when I get some time. Thanks for linking it! I started to watch the video and got more than halfway through, until he said that feminazis are destroying free speech, and at that point I was done. He’d already used the SJW term twice by then, and I’m sorry I gave him a view. I don’t ascribe to purity tests, but I do have minimum standards and he doesn’t meet them. Unironic use of the term “feminazi” counts for 2.97 strikes against someone for me. “SJW” use is another 2.36 strikes. That puts him way over 3; he’s out. Logicked isn’t a feminist it seems (apart from legal equality, weak anti-discrimination, etc. ), but he’s self-aware enough and decent enough to be a consistent liberal so that he’s inoculated against alt-right propaganda. Ah, still can not see video from work. Bah. Anyway, David, reading the link you have put in one of your comment, The Screwfly Solution reminds me of “Des femmes qui tombent”, the only short novel of Pierre Desproges (an well know humorist in France), except the former is an horror one while the last is a satire. I was following him right up until he posted the screenshot of his videos about M-103 (is that right? not going back to check) and saw that he described Justin Trudeau as “unhinged” and put Islamophobia is scare-quotes. At which point I said “nope!” and clicked off the video immediately. I just assume that anyone who uses “Logic,” “Rational,” “Skeptic” or “Atheist” in their YouTube username is a hate-driven right-wing cockbite and avoid ’em from the get-go. Hasn’t steered me wrong yet. He seems pretty anti-feminist. You’re saying he’s even less feminist than that? So, not an MRA. That’s a pretty low bar to clear. but he’s self-aware enough and decent enough to be a consistent liberal so that he’s inoculated against alt-right propaganda. Someone who is “liberal” for men but not for women is not a liberal, let alone a consistent one. Someone who is “decent” to men but not to women is not decent. I could go on but you get the point. I know. He’s a “liberal” from a historically white and male perspective, like white “liberals” who supported civil rights in the 1960’s. On YouTube, “skeptic” usually means hyper-rationalism, which is essentially a bias assuming that scientific authority is always trustworthy (even though most of the literature is heavily biased and not even well-written) and that libertarianism/1960’s white male “liberalism” is a default “non-political” mindset. They’re typically heavily influenced by Sam Harris and Daniel Dennett in particular, especially the compatibilist view of free will and the view that almost all behavior is biologically innate rather than based on socialization. So they’re “right” and don’t need to consider how many of their opinions are arbitrary and based on maintaining a privileged position in society. Ed Brayton is awesome. I watched a few more of Logicked’s videos. Ugh. He’s Manosphere-ish. I’ve been following the atheist community for awhile. I’ve found that “skeptic” means atheists who tend to be small-l libertarians (allowing some deviation on economic issues, etc.). Atheism+, “humanist,” “secular humanist,” and groups like the Unitarian Universalist Church are progressive or SJW, but they put less emphasis on challenging people’s religious beliefs. I don’t know if this has been posted before, but here goes. When I was a teenager, I was involved in a religious sect in the UK. My family had ties to them, so I didn’t know it was wrong, all I know is that it made me miserable. I thought this was because I was being ‘convicted of my sins’. My cousin was a few years older than me, and he was recruited to join the Elders, a group of older men, who used to have private meetings and talk about dogshit like this. My cousin became a really nasty, aggressive person after attending these meetings, a violent woman hater, where before he was a sweet shy boy. He was also gay, but he married just to save face, it all turned bad because he expected the Handmaid’s Tale, but his wife’s family wouldn’t allow it, or any further access to his son. I have not spoken to my cousin in almost twenty years.